Business Sectors: Marketing, Public Relations, Human Resources, Accountancy, and Finance. Interning on the Business project in Sri Lanka with Projects Abroad gives you the opportunity to gain work experience and learn new skills in one of the most exciting economies in the world. This internship is ideal for gap year students contemplating business studies at university and graduates looking to break into a fast-paced business sector and gain business knowledge and experience. 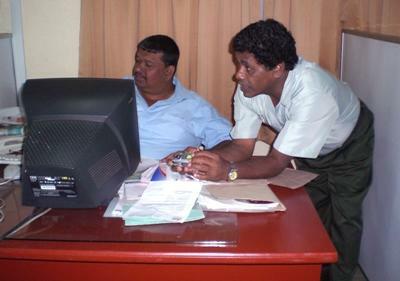 In Sri Lanka, we have a variety of Business internships available. Depending on your skills and needs we will be able to find a placement that fits your goals and interests. All of our Business internships are located in Sri Lanka’s busy capital city, Colombo. Colombo is Sri Lanka’s commercial capital and as one of the fastest growing cities in Asia, there are many business opportunities developing rapidly here. Business internships in Colombo focus mainly on marketing, public relations, human resources, accountancy, and finance. Should you be interested in other business areas, please contact us for more information on these possibilities. As an intern, you can provide effective and constructive help while you work on a variety of projects. During your placement, you are expected to be punctual, professional, hard-working, and willing to adapt to the local working environment. You will be required to work an average of 25 to 40 hours per week, usually Monday to Friday. The language for business in Sri Lanka is English. When you arrive at work on your first day, you will be assigned a supervisor who will be able to advise and support you during your placement, and give you a short introduction to the business. You will also have Projects Abroad staff on hand to support you throughout the duration of your internship. The work you do will depend on the needs of your placement, but you should be prepared for a challenge. You will be treated as a local employee and get involved with the day-to-day activities of the office. These activities include be contacting different clients, working with business support teams, attending meetings, researching for current or future projects, putting together portfolios, or attending meetings. Whichever placement you are working on, your input will be encouraged and appreciated. Take the opportunity to make your own suggestions, explain how things work back home, or learn some of the local language. Your adaptability and willingness to learn will allow you to gain the most out of your time abroad.